Poll – should Manu Tuilagi be banned for the World Cup? Poll: should Manu Tuilagi be banned for the World Cup? Should Manu Tuilagi be banned from playing in the World Cup? Here are the facts: England head coach Stuart Lancaster has banned Manu Tuilagi from playing for his country during the upcoming Rugby World Cup, following the centre’s conviction for assaulting two female police officers and a taxi driver in April. He will not be considered for England until January 2016. At his Leicester Tigers club, director of rugby Richard Cockerill has said that Tuilagi would undoubtedly be fit in time for the World Cup, but regardless, the player will not be playing for the hosts in the competition. There are plenty of opinions circulating about the incident and fallout. World Cup-winning winger Ben Cohen has stated that he feels Tuilagi should never play for his country again. Others feel the length of ban is spot on. However, we want a simple YES or NO from you. Do you think the centre should miss out on the World Cup? Simply tick a box above and register your opinion. We are simply interested in finding out if you want him in the white of England again in this year of all years, or if you think Lancaster was right to ban him. 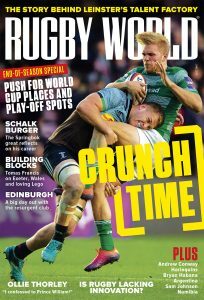 The results from this poll will be published in the July edition of Rugby World magazine.